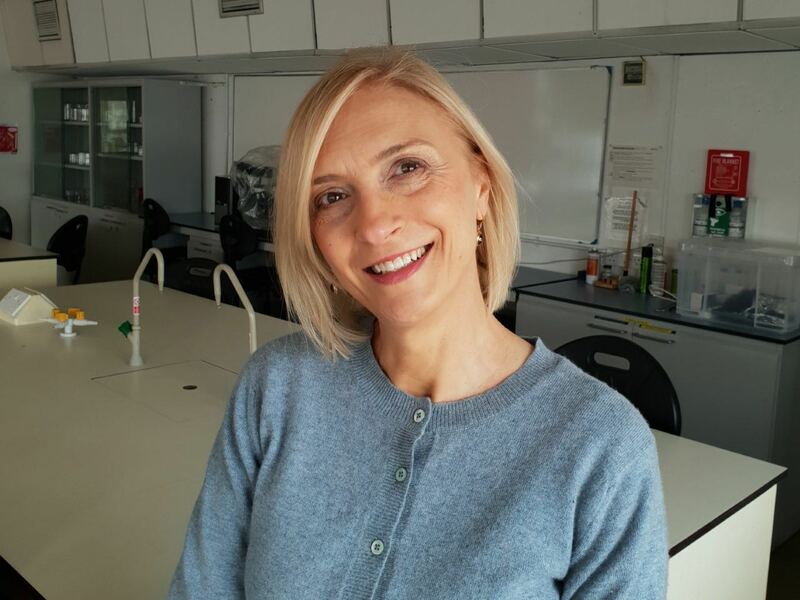 Gabriela Daniels is Programme Director for the science courses in LCF and lectures on the integrated MSc Cosmetic Science. After obtaining her degree in Chemistry with a specialisation in the technology of cosmetics and fragrance materials, she moved to the UK and worked for several fragrance and cosmetic companies. In this interview, she tells us about the challenges of being a lecturer, what makes the cosmetic industry a fascinating field and what students can expect from studying a science course in a fashion school. After a few years gaining experience in the cosmetic industry, working for companies in Bulgaria and the UK, Gabriela started her journey at LCF right at the time when the undergraduate course in cosmetic science was taking off: “I’ve seen this subject area grow and evolve over a long period of time,” she says. “One of the most special things about the course and how I have developed with it, is that it has always been very closely aligned with the science and technology of cosmetics. However, Gabriela highlights that the sciences dominate the course, something that future applicants should keep in mind: “They should expect quite a lot of science, especially biology and chemistry, because these are essential for understanding how cosmetic products work when applied on the human skin, hair or teeth. It is important to revise and upgrade these underpinning sciences when students begin the course. Later on, the course curriculum becomes very industry-focused, integrating briefs requiring students to develop and test products for different types of skin, hair, etc. This is a challenging, but also very motivating element of the course.”Gabriela points out that it is essential to keep the course up to date and relevant: “The cosmetic industry has become very sophisticated in the last 5 years, as it aims to cater for diverse consumer needs. The main challenge is to make sure that the products are appropriate for different consumers across the world and to meet their needs in a sustainable, benefiting local communities and not harming the environment."